Charming home in Wright on 10 acres! Open floor plan with a huge kitchen that has lots of storage and an eat up bar. Large Master Suite with huge walk in closet and a spacious Mudroom/Utility Room with a separate front entrance. Beautiful new flooring throughout the home, updated appliances, new maintenance-free metal roof, and an oversized one car garage close to the home. 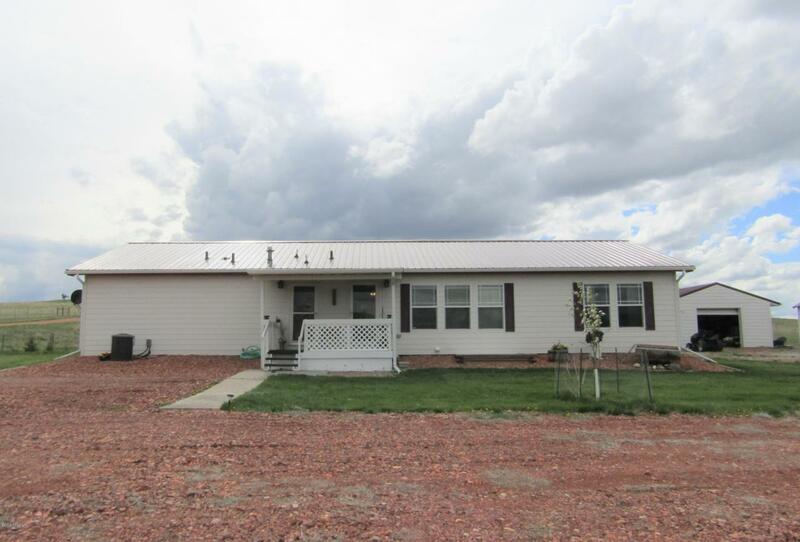 Enjoy lovely Wyoming views and beautiful landscaping from the covered deck or while sitting by the fire pit. Don't miss out on this great country property!